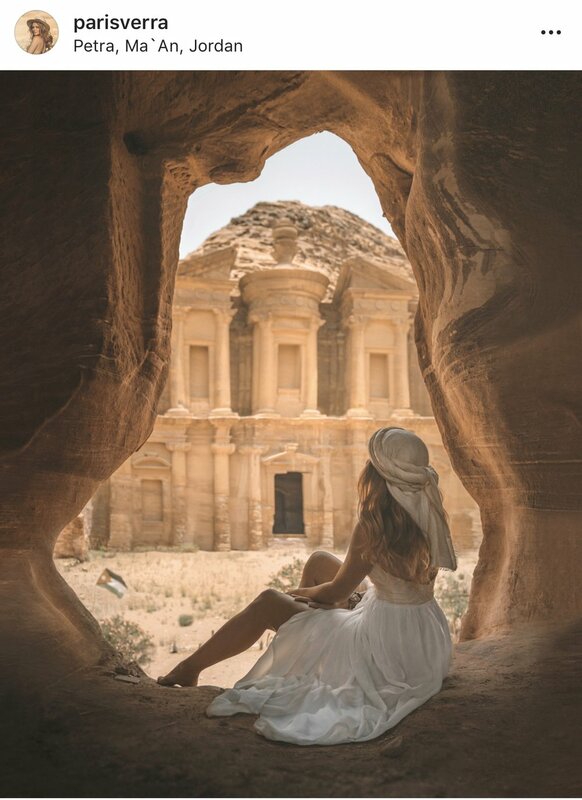 We are so blessed to live in a time where solo travel is not just a but attainable for people of all kind - wether you are a person of color, a high school student or a young single woman. Moreover, with todays technology and the highly advanced phone cameras you don’t need professional equipment to get high resolution photos. Anyways, I already know this question will be coming so here are the cameras I use: 80% of the time I shoot with my CANON 600D and my 12-18mm CANON lens. The rest of the time (when I feel to lazy to bring my equipment) I simply shoot with my iPhone 8+. Although I do not always travel solo, I have my trusty Tripod with me 90% of the time. Of course it is great to have friends on your side to assist, but a Tripod gives you the ultimate control! If you are a bit of a perfectionist, like me, you don't want to put to much trust in the photographic skills of strangers passing by. With a Tripod you can simply mount your camera (or smartphone - with a suitable phone mount) on the tripod, frame your photo, adjust the settings and set on self-timer! 3,2,1... perfect shot! No stress. This was a lifechanger for me! 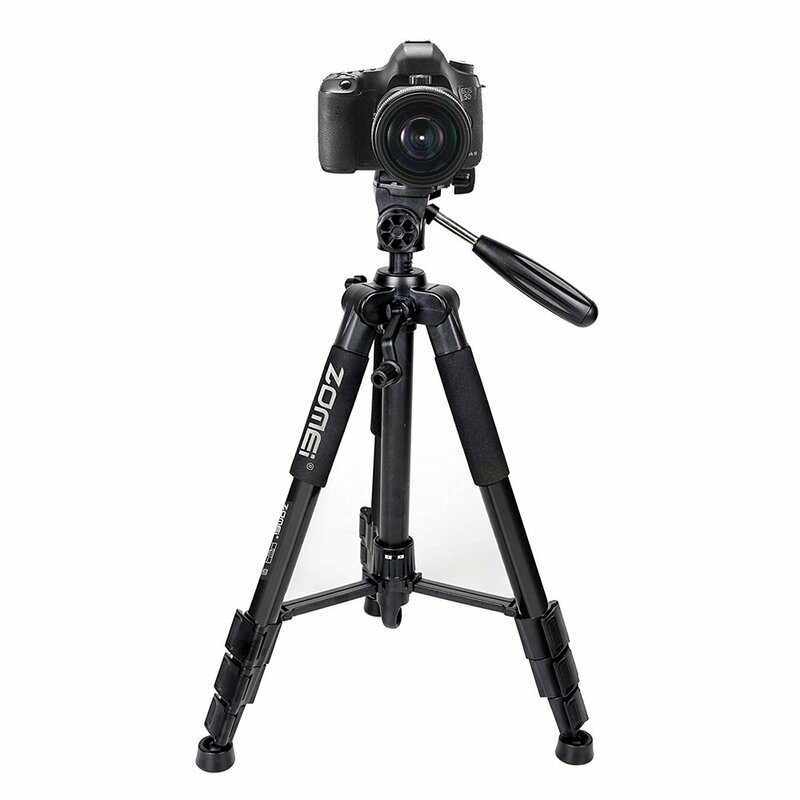 Now, when it comes to choosing a Tripod, make sure it is a lightweight model (<2kg). If it is to heavy you will end up leaving it at home, because carrying 5kg of equipment can ruin every trip easily. If your budget allows it, I recommend investing in a Manfrotto Tripod. Bonus: A tripod not only allows you to take great pictures of yourself, but also opens up the whole fascinating world of night sky photography! You are planning to visit this amazing sight. Unsuspecting as you are, you arrive at the destination around noon with no particular plan in mind. Because you just go with the flow. But quickly you realize how difficult a good photo might be; the place is crowded, you don’t know where to take the photo and you are already sweaty and exhausted from the burning sun. Sounds familiar? Well, we have all been there. And hopefully we have all learned from our mistakes! Scout your destination properly, before you head out. Which times are the most crowded? When is the best light? Where is the best perspective for your photo? Instagram and Google Maps are great tools for that. Search your destination in hashtags and location tags to get photo-inspiration and use the hashtag- and location-stories on Instagram to see how the place looks in real life and how crowded it will be at different times. Now this leads us to the next point, which every aspiring photographer should be aware of. How good or bad the light was will ultimately decide how great your picture will turn out. You might be familiar with the term „Golden Hour“ - this is a term photographers use to describe the soft and warm light shortly after sunrise and before sunset. This is the perfect light, the light you should be aiming for. If you shoot during noon, the strong sun will not only make you sweat like a pig, but it will also create strong contrast (which will raise the chances of overexposure and grayish colors). I strongly encourage you to aim for a sunrise, rather than a sunset. Most people don’t like to get up early during vacation, so chances are your desired location will be less crowded! No matter If you are traveling solo or not, editing should be an essential part of your photography work. Everyone can take a picture of a nice sunset, but once you know how to edit you can turn a good picture into something really unique. Please understand that when I use the word editing I am not talking about making something ”fake”. Editing, for me at least, a useful tool to enhance your pictures. Moreover, If you are working on a visually appealing instagram-feed, finding your own editing style is the key. So, how to learn editing? I started by watching YouTube editorials. There are plenty useful ones out there. If you have a certain style you want to achieve I recommend typing in ”How to edit like...(name of your favorite instagramer)”. After you understood the basics, its simply experimenting and practice, practice, practice. Which software to use? I personally only use Photoshop when I edit on my Laptop. Lightroom is great, but mainly focuses on playing with light and colors. Photoshop gives you a lot more freedom to experiment and with the included ”Camera Raw Filter” Tool (works similar to Lightroom Editor) I have all I need. 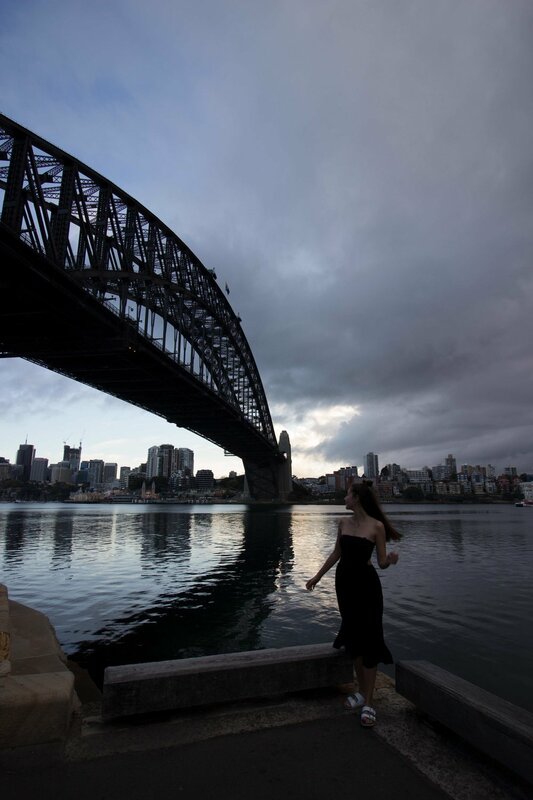 Here is a BEFORE and AFTER pic from my recent trip to Sydney. This photo was taken in RAW format, which you should ALWAYS use if you are planning to edit your pics. If you tweak the colours and the lightening too much on a lower quality photo, it will dramatically lower the quality and look grainy. Nowadays, social media is overflowing with people sharing photos of their vacations and most people post the same picture, at the same location, even the same poses. If you want to be truly remembered you have to make an effort to be different. Because where is the fun If you don’t create your own adventures? Sunrise at Lempuyang Temple, Bali - Taken with a tripod and self-timer (I literally had to sprint from the camera to the entrance within 10 sec) - More about Bali’s most beautiful Temple here. Would you like to know more about photography or editing? Or do you have questions or suggestions left you would like to share? Leave a comment, I will be going though!